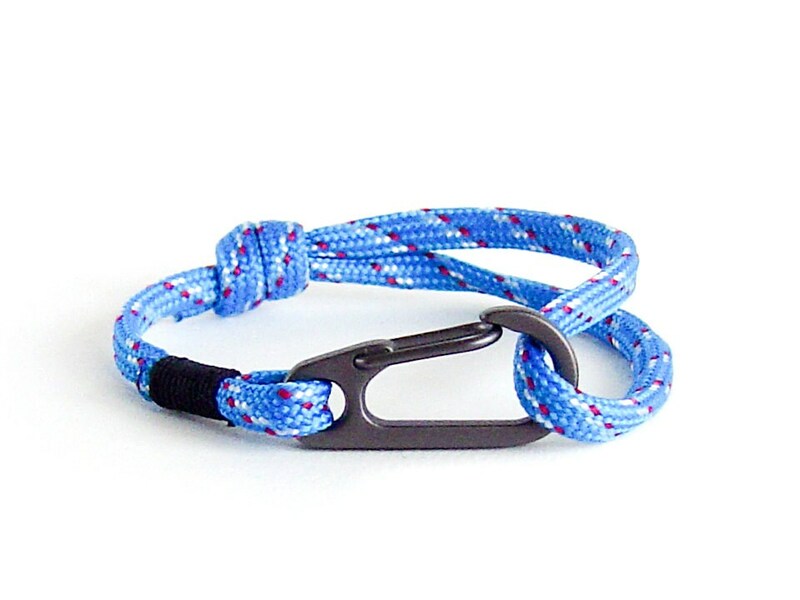 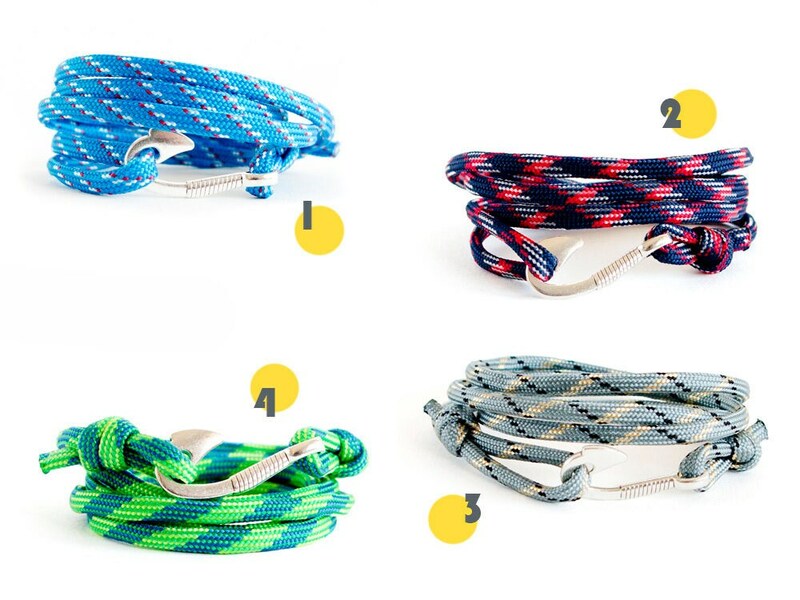 Our rope guy bracelets in blue are unique in guy birthday gifts. 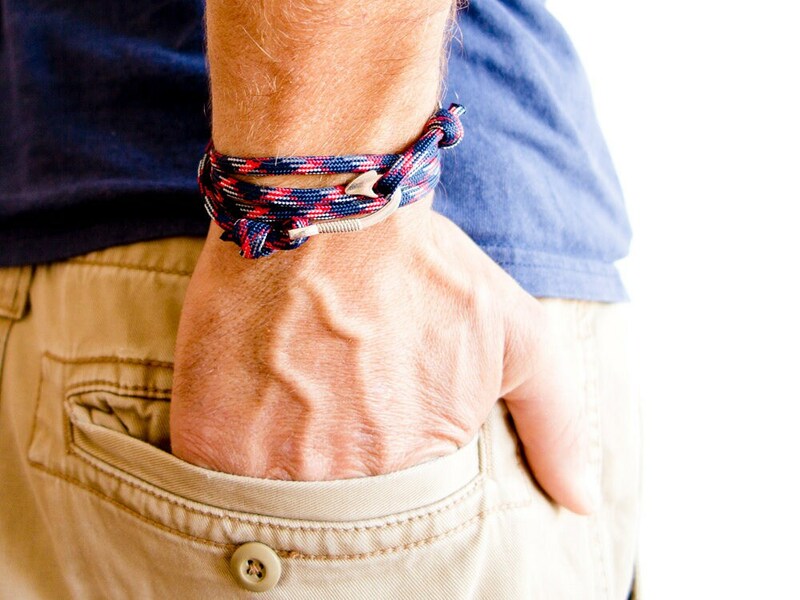 You can present this boy bracelet to your nephew and cousin or best friend and everyone will love it! 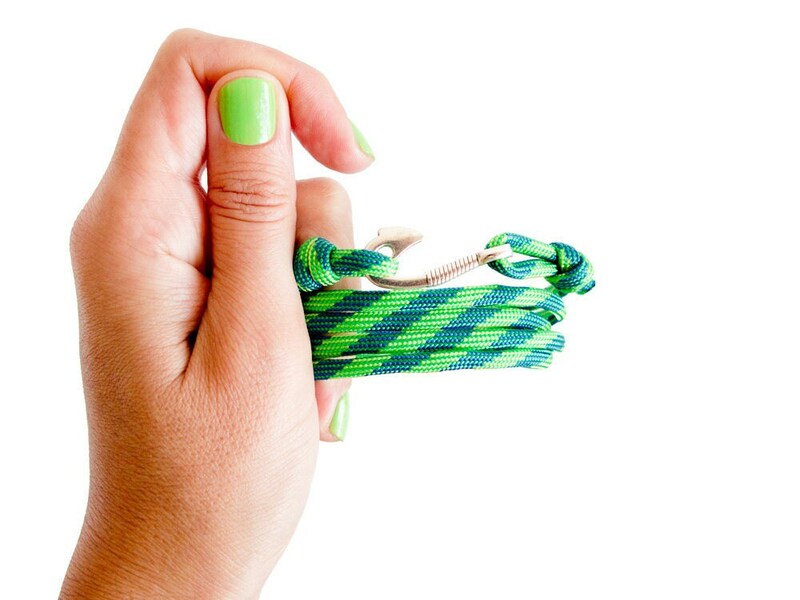 It will fit everybody, because you an adjust the bracelete diameter. 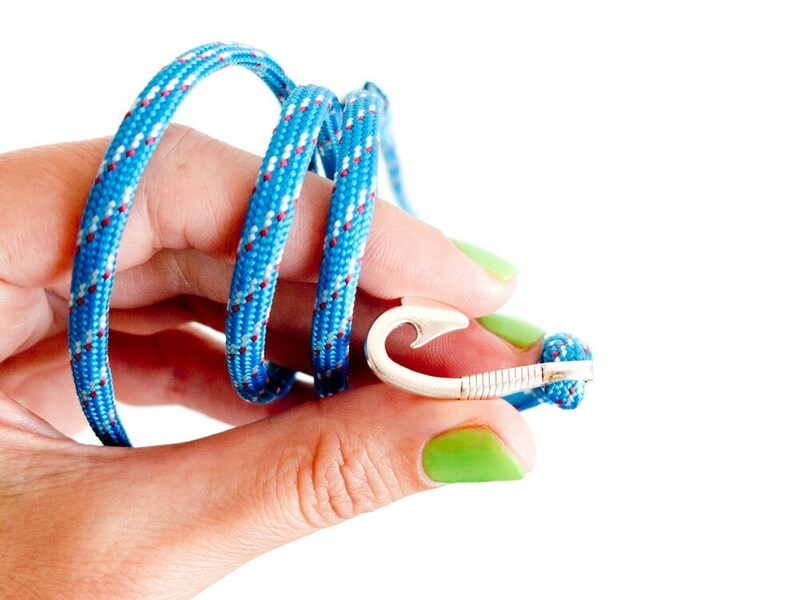 Slide the knot, and it will become shorter or larger. 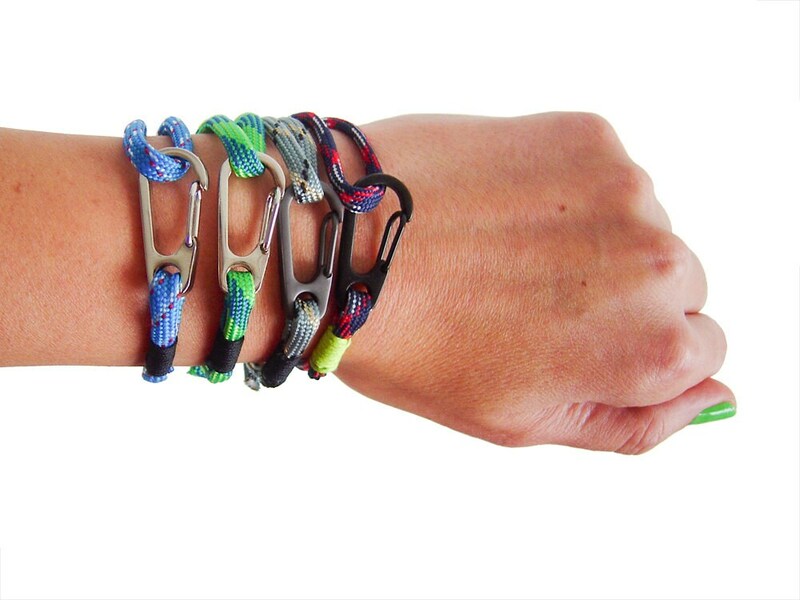 Even girls and women with sporty style can wear it. 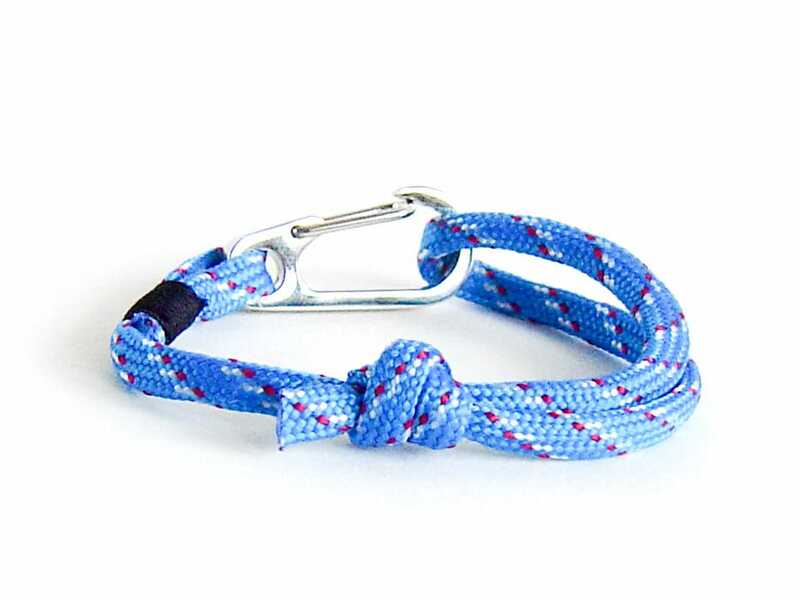 This guys jewelry - mens blue bracelet closes very well with a metal clasp, that opens when you push one of its sides. 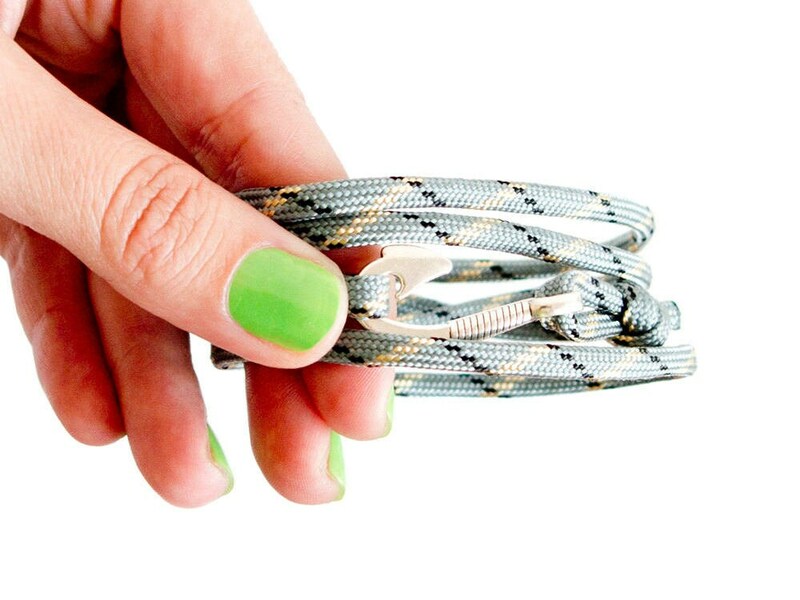 Used rope for nephew and cousin bracelet is flat paracord, 0.5 cm (3/16") wide. 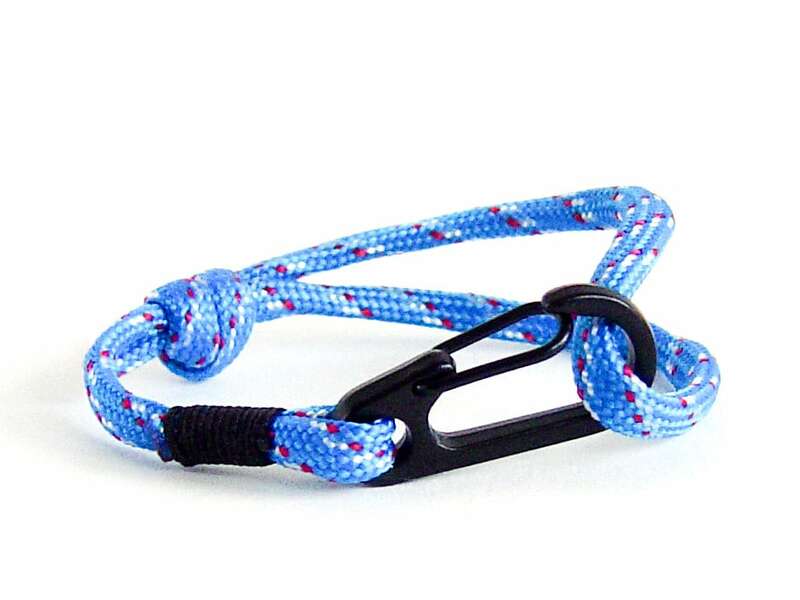 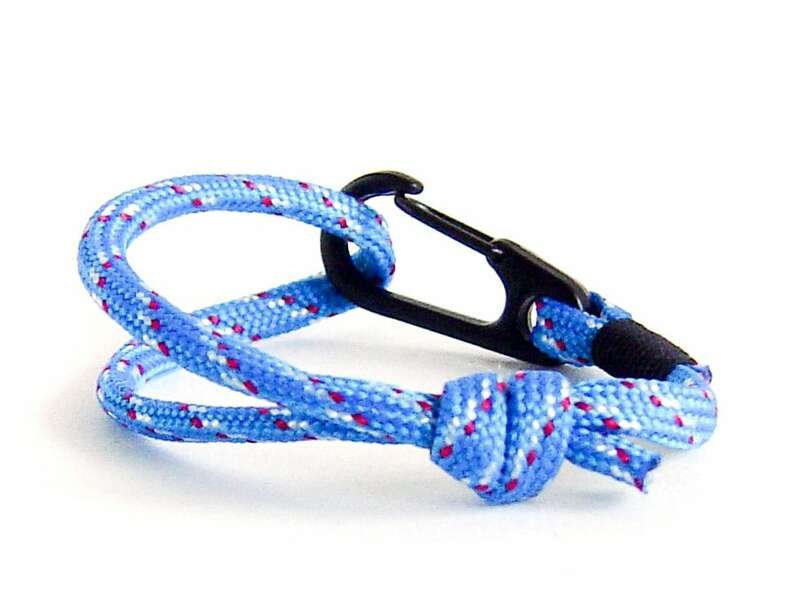 The length of the rope can be modified form 16 cm (6 5/16") to 23 cm (9 1/16").